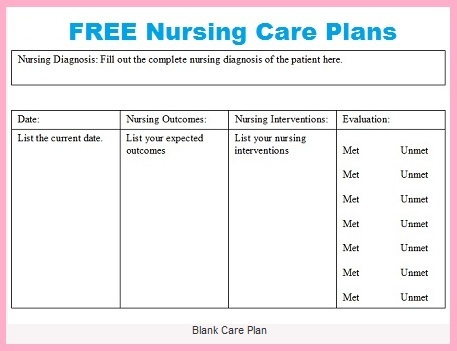 This nursing care plan for Cystic Fibrosis includes a diagnosis and care plan for nurses with nursing interventions and outcomes for the following conditions: Ineffective Airway Clearance & Activity Intolerance. Patients who have cystic fibrosis are at risk for lung infections due to the body’s overproduction of secretions. Due to the abnormal production of secretions, which are thick and viscous in nature, patients have a difficult time clearing them, which makes them prone to frequent lung infections. In addition, patients with cystic fibrosis experience nutritional, fertility, gastrointestinal, and endocrine issues. A 15 year old male is admitted with pneumonia. He has a health history of cystic fibrosis, heartburn, and type 1 diabetes. On arrival to the ER the patient oxygen saturations decreased to the 80s and he required deep suctioning to remove thick respiratory secretions. Chest therapy was conducted and breathing treatment was administered. The patient is doing much better at the moment and is ready to be transferred to your unit. The patient’s vital signs are: BP 130/80, HR 105, Temp. 100.5, blood glucose 90, Oxygen saturation 92% on 3.5 L nasal cannula, and respiratory rate 21. The patient’s lung sounds are diminished in bilateral lower lobes with some rhonchi present in the right upper lobe on inspiration. Patient’s chest x-ray shows bilaterally lower lobe pneumonia with moderate lung scarring noted (from recurrent infections). Patient’s white blood count is also elevated with WBCs of 13.2. You note while talking with the patient he does get short of breath during talking and takes time to “catch” his breath. This is the patient’s third time this year being admitted with pneumonia. The patient states for the past 4 days he has been coughing constantly, producing “gross-looking” phlegm” but can not seem to cough it up, and has not be able to participant in gym class at school. He states that it has got worse because he is now having problems walking short distances because he gets short of breath easily. Ineffective Airway Clearance related to mucopurulent secretions related to inability to remove airway secretions secondary to pathophysiology of cystic fibrosis evidence by patient requiring deep suctions and reports inability to remove secretion with coughing. Activity Intolerance related to impaired oxygen transport secondary to mucopurulent secretions as evidence by reports and demonstrates dyspnea with activity. The patient states for the past 4 days he has been coughing constantly, producing “gross-looking” phlegm” but can not seem to cough it up, and has not be able to participant in gym class at school. He states that it has got worse because he is now having problems walking short distances because he gets short of breath easily. -A 15 year old male is admitted with pneumonia. He has a health history of cystic fibrosis, heartburn, and type 1 diabetes. On arrival to the ER the patient oxygen saturations decreased to the 80s and he required deep suctioning to remove thick respiratory secretions. Chest therapy was conducted and breathing treatment was administered. The patient is doing much better at the moment and is ready to be transferred to your unit. The patient’s vital signs are: BP 130/80, HR 105, Temp. 100.5, blood glucose 90, Oxygen saturation 92% on 3.5 L nasal cannula, and respiratory rate 21. The patient’s lung sounds are diminished in bilateral lower lobes with some rhonchi present in the right upper lobe on inspiration. Patient’s chest x-ray shows bilaterally lower lobe pneumonia with moderate lung scarring noted (from recurrent infections). Patient’s white blood count is also elevated with WBCs of 13.2. You note while talking with the patient he does get short of breath during talking and takes time to “catch” his breath. -The patient will demonstrate effective coughing techniques within 48 hours of hospitalization.-The patient will maintain an oxygen saturation greater than or equal to 90% during hospitalization. -The patient will be able to report a decrease in dyspnea during normal activities by discharge. -The patient will demonstrate 3 energy saving techniques he can use to conserve energy during activities by discharge. -The nurse will perform every 4 hours chest physiotherapy.-The nurse will teach the patient how to perform effective coughing techniques daily. -The nurse will assess the patient’s ability to clear secretions independently every shift. -The nurse will collaborate with respiratory therapy regarding as needed breathing treatments and deep suctioning for shortness of breath and ineffective airway clearance. -The nurse will assess patient’s activity tolerance daily. -The nurse will assist and encourage the patient will ambulating and decreasing the amount of time spent in bed daily. 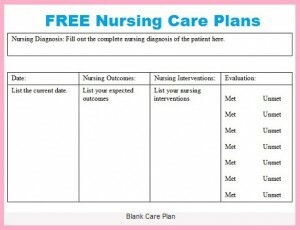 -The nurse will teach the patient 3 energy saving techniques to help conserve energy daily.